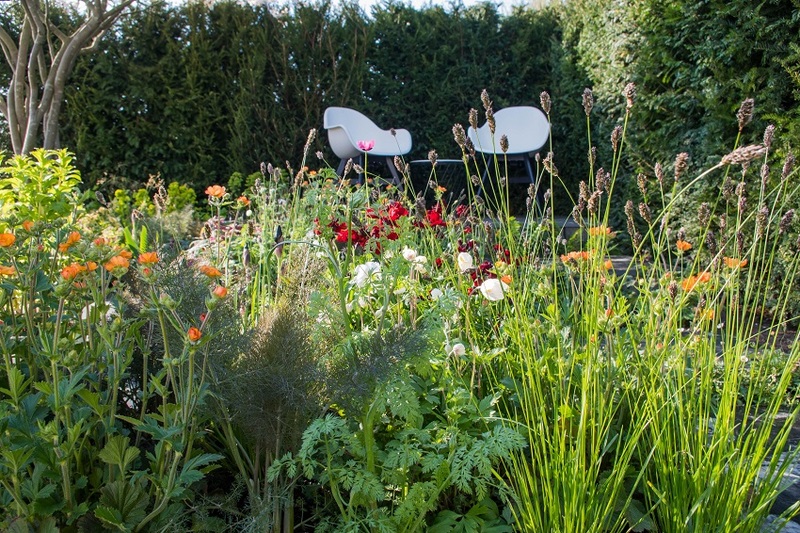 The Perennial Garden wins Silver Medal at RHS Flower Show Cardiff 2019. 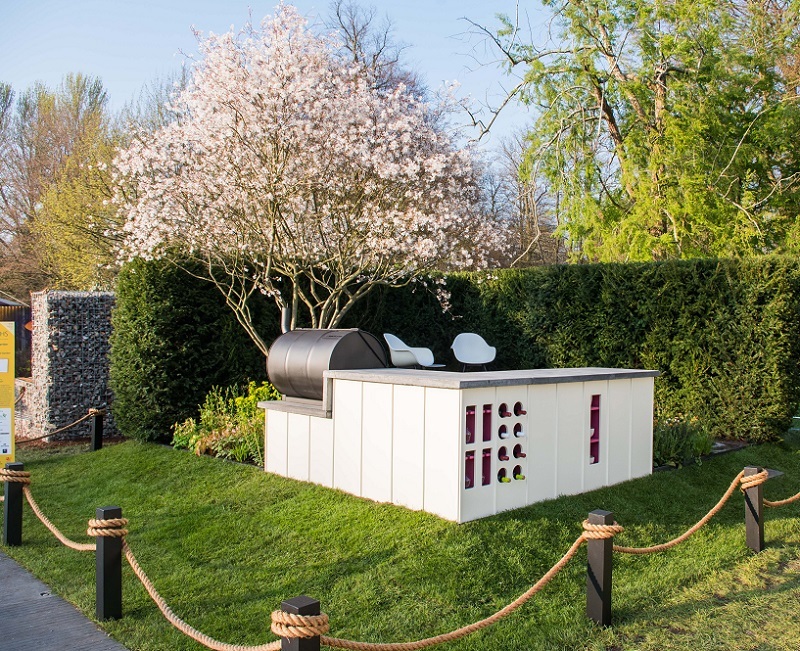 Designed by Irish garden designer Peter Donegan and constructed by Burnham Landscaping, the contemporary garden was created to help mark the garden charities 180th anniversary. 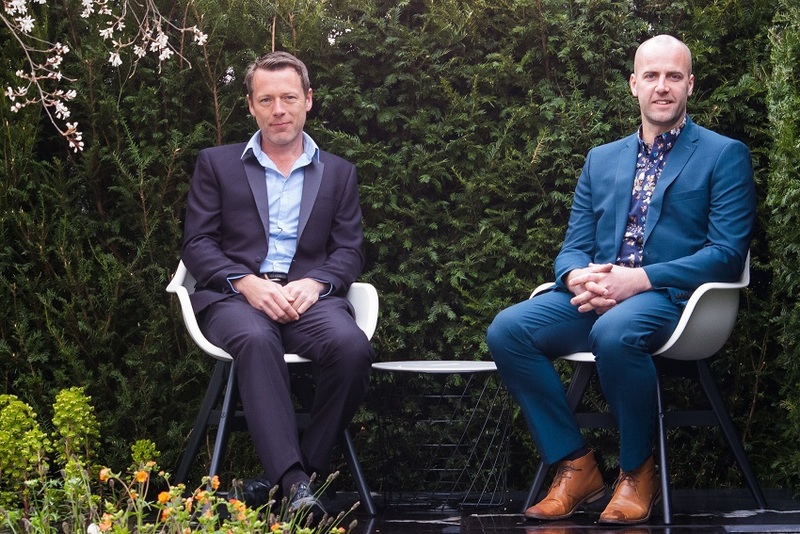 It is the first time Perennial have exhibited at the Royal Horticultural Society Flower Show sponsored by Brewin Dolphin, and the first time Peter (or any Irish designer) has had designs accepted to the prestigious flower show. In November 2018 Peter was selected by a French jury to represent Ireland to design and realise the Irish WW1 Centenary Peace Garden at Chateau de Peronne in the Somme region of Northern France and see the garden in the dried up moat of the 13th century castle to completion. This was Peter’s first public garden since his return. 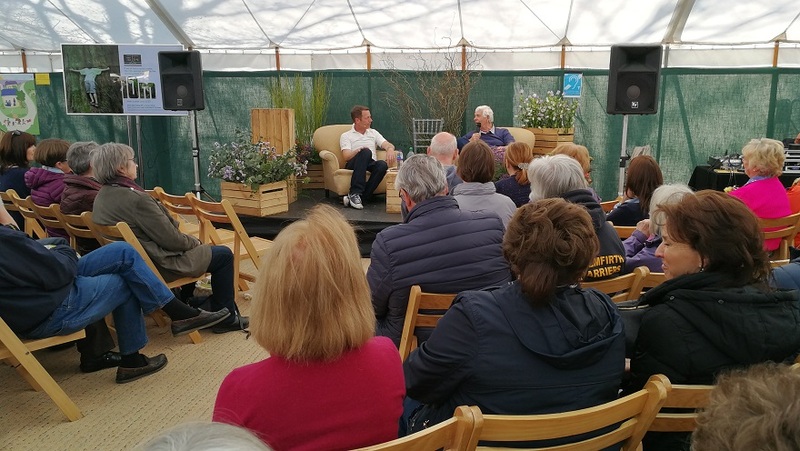 The Perennial Garden was made possible by the support of the horticulture industry in particular Ed Burnham of Burnham Landscaping, who since 2011 have created no less than 13 RHS Show Gardens (their previous being at RHS Chelsea). 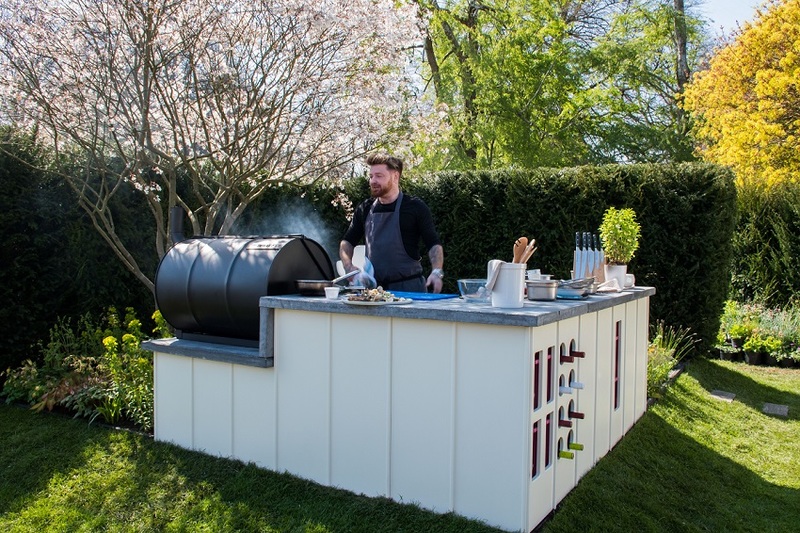 And also CED Natural Stone who provided the hard landscaping, Oxford Planters hand crafted the bespoke outdoor kitchen and the expertly grown planting by Hortus Loci. Irish designer Donegan was also there by invitation to interview BBC’s Terry Walton live on The RHS Talks Theatre Stage and alongside Ed Burnham gave a series of talks to RNIB Cymru at The National Museum Cardiff and also to Cardiff’s Royal British Legion. It was an honour to be selected by Perennial to design this garden to celebrate their 180th Anniversary. To have been accepted then by The Royal Horticultural Society and to see the garden come to life could not have happened without the help of so many. And when you consider that the planting team included Cherry Carmen and Andrew Fisher Tomlin and then remember who was constructing that picture, you really do have to pinch yourself. 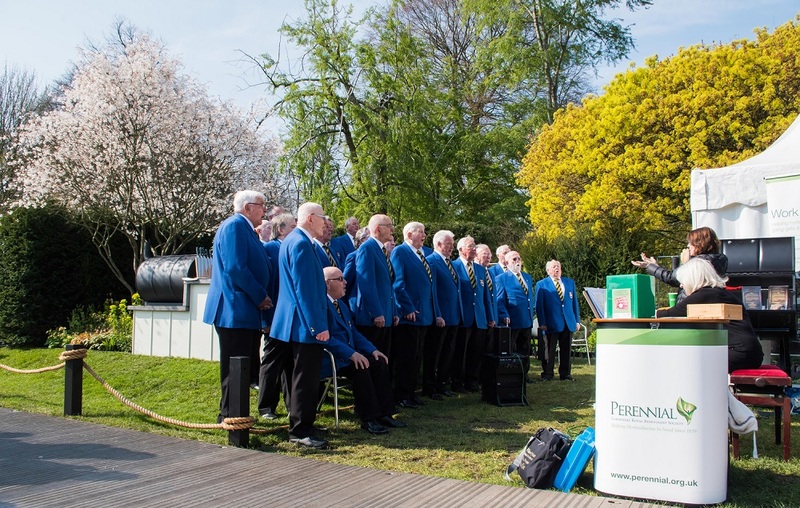 That this RHS garden was officially opened by the Newport Male Choir (singing the Welsh National Anthem) and followed by a cooking demonstration from the garden by two time Great British Menu winner Tommy Heaney to record RHS Cardiff attendance numbers is something I could never have imagined. Add in the local support of Romilly Finance, Pro Cook, Two Spots Coffee and Directing Media and I think it’s fair to suggest we really had something of a dream team and a daydream I don’t think I’ll ever see happen again. The Perennial Garden. RHS – Royal Horticultural Society Cardiff 2019. Silver Medal. Category: Show Garden.